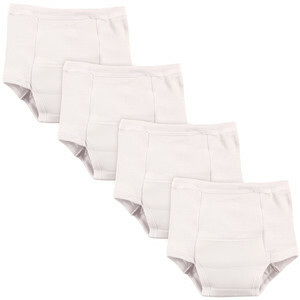 Luvable Friends 4 Pack Training Pants are the right tool for transitioning from diapers to potty. These training pants have a cotton outer layer with an absorbent polyester inner layer. These pants are made to feel like real underwear to make your little one confident. 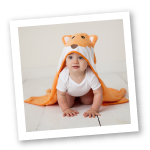 Size 18 Months fits weight range of 25.5-29 lbs. Size 2T fits weight range of 29-31 lbs. Size 3T fits weight range of 31-34 lbs, Size 4T fits weight range of 34-38 lbs.